agINFRA is a pioneering European project designed to support and enhance the work of the scientific agriculture community in the management, sharing and creation of agricultural data, services and tools . The agINFRA e-infrastructure, funded in part with a grant from the European Commission, provides all the necessary tools and services for a number of different types of stakeholders, from information managers to software developers and even end users, to facilitate agricultural data generation, provenance, quality assessment, certification, curation,annotation, navigation and management. Access information related to your work from a large network of international resources. Receive free training in the use of our new tools and applications to organize, connect and publish datasets and collections. Access technical guidance, add-on plugins and components as well as a technical framework for enhancing your existing tools and services. Empower you or your organisation to host, store and speed up your data-related software tools and services using a large scale cloud and grid facility. Access technical guidance, add-on plugins and components as well as a technical framework for enhancing your existing software tools and services. Empower you or your organisation to host and speed up your data-related software tools and services using a large scale cloud and grid facility. Read about our Open AgriGate Competition and also learn more from our website. Phase One of GACS approved– Read the reports.The Steering Group of the GACS (Global Agricultural Concept Scheme) project has approved the final results of Phase One. Version 1.0 of the Status Quo and Integration Proposal reports are now accessible, see attachments at the bottom of this post. More info. Fedora 4 Training Events in October. In response to community requests for more Fedora 4.0 training opportunities, the Fedora Project is pleased to announce that four separate face-to-face sessions in four locations have been scheduled for October 2014. More info. New AGRIS online. On August 25th, a new release of the AGRIS Web portal (http://agris.fao.org) was launched. It contains many new features and some optimizations of functionalities that were already available. More info. Beyond the Box Digitization Competition. The Beyond the Box Digitization Competition will award $1 million to a person or team that will create a technology that increases the speed and accuracy of digitization of a drawer of insect specimens and their associated data. More info. Call for Concept Notes: Open Science Network.The Open and Collaborative Science in Development Network (OCSDNet) announced the launch of the public Call For Concept Notes for case studies that explore the linkages between open science and development. More info. AGRIS RDF model revised : order of authors corrected. Following the new release of the AGRIS Web portal, AGRIS RDF model was revised to maintain the order of authors. More info. What is ORCID ? on Vimeo. A new video has been posted on Vimeo explaining ORCID. Synopsis Names are not enough to ensure credit for your work and are inadequate for reliably connecting researchers with their research outputs. More info. 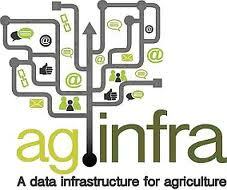 Open AGRIgate Competition: agINFRA Open Data Campaign. agINFRA is doing our part to assist in the global movement for Open Agricultural Data by launching a new kind of competition for anyone with agricultural data. More info. Read the interview "agINFRA is successfully providing a number of different services for the agricultural community" found in the AIMS Interviews section.